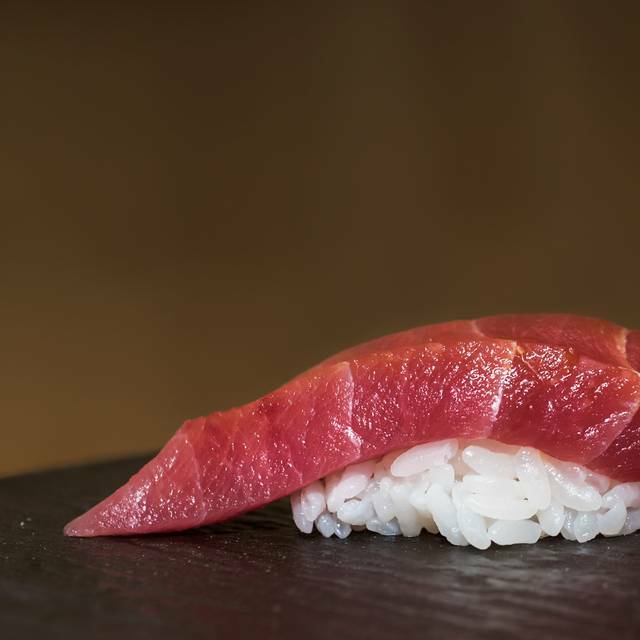 I've been on a tour of omakase restaurants in NYC and left this one disappointed. I made a reservation based on an article that named it one of the best in the city. I'd say my opinion in this case is one of absolute preference. The sushi room was small, intimate and clean. The staff was prompt and polite. The room was largely quiet with minimal interaction with the chef. I missed other intimate omakase settings with more engagement and great music. I almost felt bad talking here. Like it should be just about waiting for the next piece of fish. The sushi served seemed to be more traditional and lacked the flavor and creativity I have experienced in other spots. My partner and I were both disappointed that several of the courses were fishier than we prefer. Also, this is far from an inexpensive dinner... we're talking nearly $400 and we didn't order drinks. I'm glad to have tried this restaurant but it's not making my personal list of top omakase spots. Incredible experience. Best Omakase in the city! The chef was good and the food was good, but based on both factors this place did not give me the Omakase feelings and taste I get from other places. Not to mention there was many repeats of types of fishes available (mackerel). Highly disappointed and will not be going back. Could've been better spent else where. A birthday dinner - excellent service and quality of food. The experience was excellent and will definitely return to enjoy again. 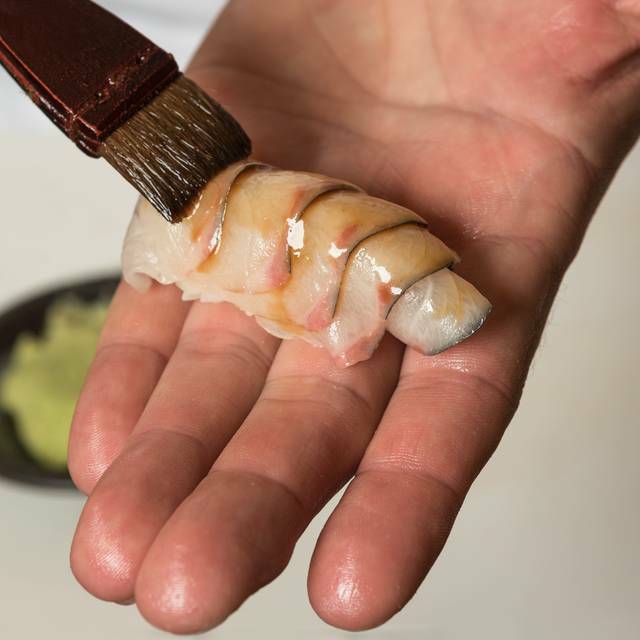 It's really a perfect deal for a 18 course omakase. Atmosphere is just perfect, food is very good, it would be even better to have desserts... I tried one omakase before which is pricey, very fancy, super awesome. This is is more original traditional omakase which is another experience. I like it. I really enjoyed the sushi each time. I want to come back soon!! 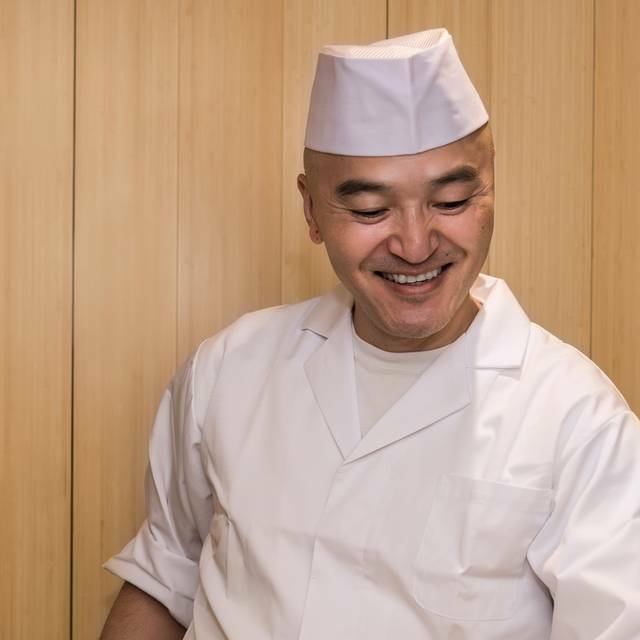 Although Chef is very good and keeping his authentic Japanese attitude, the whole theatre act of the restaurant is touristic, hungry for tips which is in total contrast to Japan where it is an insult to tip. During reservation, unnecessary never ending texts comes to your mobile asking every question twice like allergies etc follows by a skinny Americanized Japanese guy asking the exact same questions again with a creepy attitude after seated. The Chef wrapps it up as much as he can in this environment but not enough. It may be interesting to inexperienced diners thinking this is the way. The best sushi I have ever eaten. Incredible. Absolute best and unforgettable experience. Would go back in a heart beat and Chef Tatsu and his staff made it an experience I will never forget. Left with his book (incredible store and imagery) and will be back soon!! 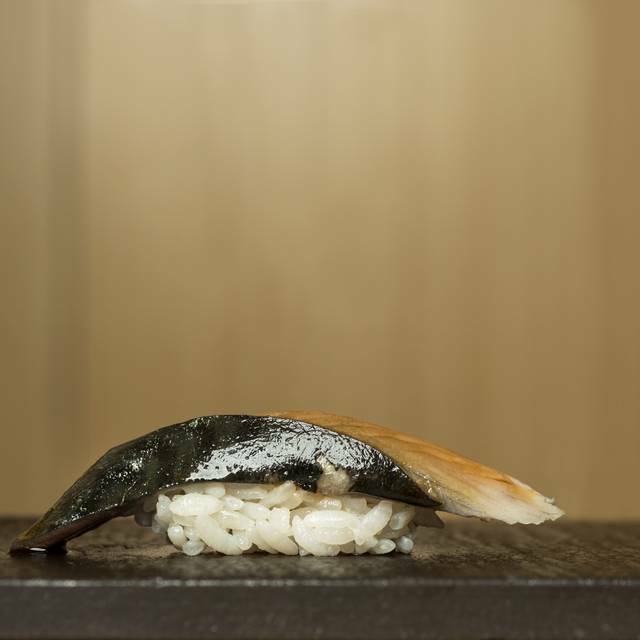 Chef Tatsu skillfully presents an omakase course that highlights the best fish he can get. 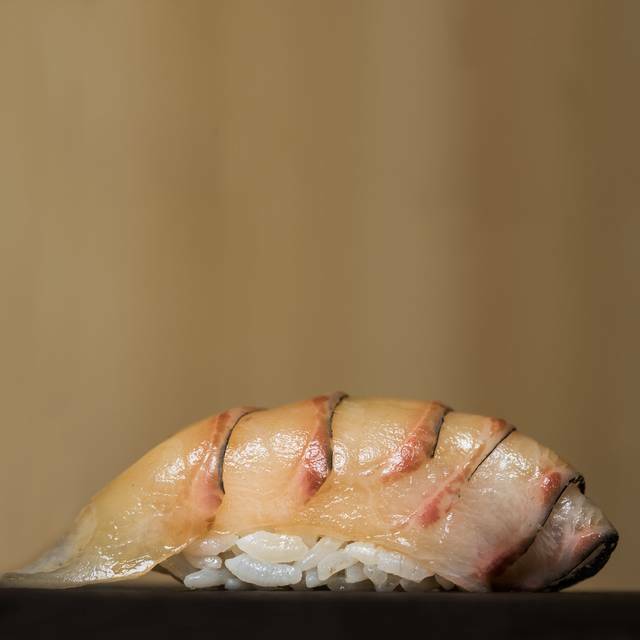 Each piece of nigiri is thoughtfully prepared and carefully seasoned with ingredients that accentuate the flavor of the fish. I can't wait to return during another season. Great quality food! Drinks and service were excellent as well. I definitely would go once a month if I could! I booked for a 7pm seating on Saturday to celebrate my husband’s birthday. It was a wonderful intimate experience right at the sushi bar. Everything was very fresh and flavorful. The tea and water were always quickly filled. It was a very relaxing environment. No loud music in the background. Just 7 or 8 other patrons seated around us. Quiet, intimate, traditional experience. Incredibly delicious fish. 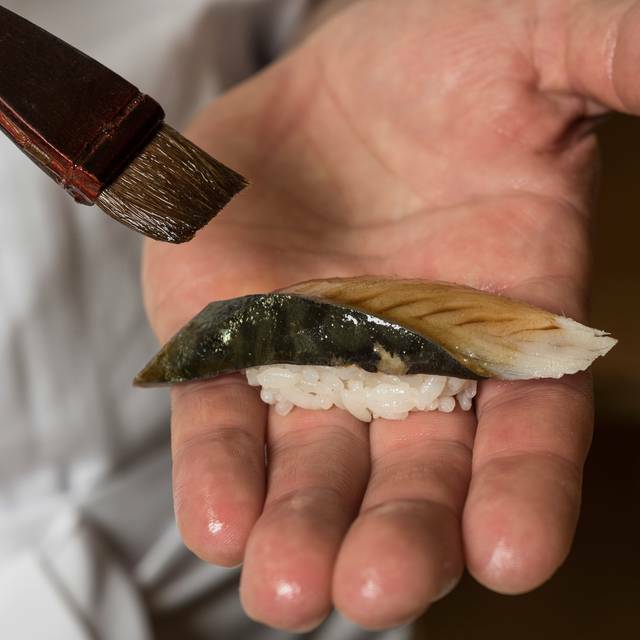 A pure sushi experience with a talented and hardworking chef. I loved that the restaurant only seats 10 and its minimalist sensibilities don't feel like a "scene." Luckily our fellow diners were quiet so we didn't have to listen to annoying conversations in an intimate setting. You are there only there for the sushi, nothing else. Each piece is thoughtfully sauced and composed so that the diner does not need additional soy sauce or wasabi. Rice is perfectly cooked. I cannot remember the last time that I mackerel so fresh and tender--the piece that was smoked with chicory was revelatory. Service was attentive, with two servers attending to 10 diners. The sushi was excellent. Omakase portion was good, There were 18 pieces of sushi but you don’t feel too full, it is just right. Chef Tatsuya signature smoke Mackerel was to die for! It is amazing! The only thing is that the place is too quiet. Not much ambience. But the Omakase sushi journey was one of the best I’ve had. My mom and I had an amazing dinner experience here! It was just as good as the first time we came. We loved the scallop, uni, and oyster. Highly recommend! Somewhat affordable sushi omakase in the city, but they charge extra for more wasabi on the side, even though I asked for no wasabi inside all of my sushi. Exceptional from start to finish. Will be back... compliments to the genius chef. Everything was fresh! The unfiltered sake was amazing with the meal. Overall great service and experience. The food was excellent, as was the service. But, it was just to much food. We had our 3 year anniversary here and it was amazing, the restaurant was a bit small and its underground so we nearly missed it haha Overall the omakase course was good, more affordable than other places in the city, this is a good start if you want an intro to omakase!! Awesome food and experience. Service was so kind and food prep was wonderful to watch. Best birthday date! We loved it. Magic in every bite. Quality, ambiance, service, one of the best dining experiences we’ve had. High end omakase, the food was great, the price is not advertised, probably for good reason. Gratuity is extra. My son and I tried edomae sushi for the first time at Omakase Room and we’re glad we did. It was a special treat during a family trip to NYC. Celebrating my partner’s birthday with one of the best meals we have ever had! The best omakase experience we have had to date. 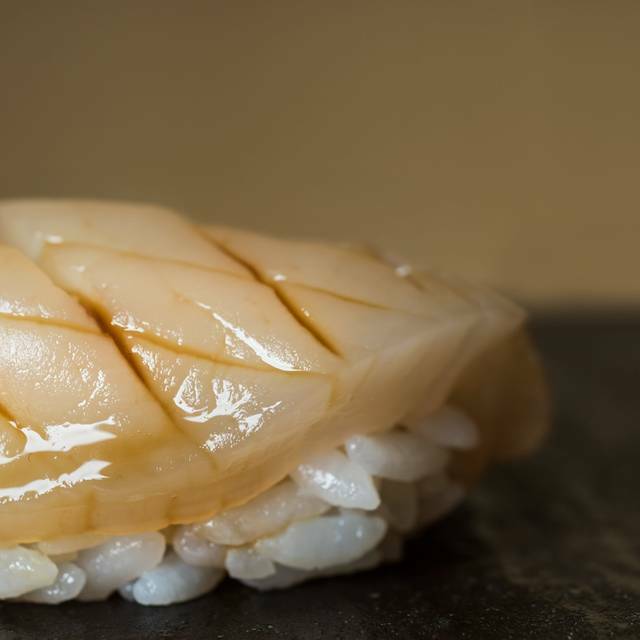 The fish is fresh and each one is perfectly and uniquely prepared. This is the first time we have been served oyster as sushi and it was incredible. I also thought the progression was perfect. Typically I feel a bit let down at the end but Chef Tatsu finishes with saltwater eel instead of tamago. He also told us how each was prepared and where the fish was sourced from. The service was attentive and well coordinated. Thank you for an amazing meal. 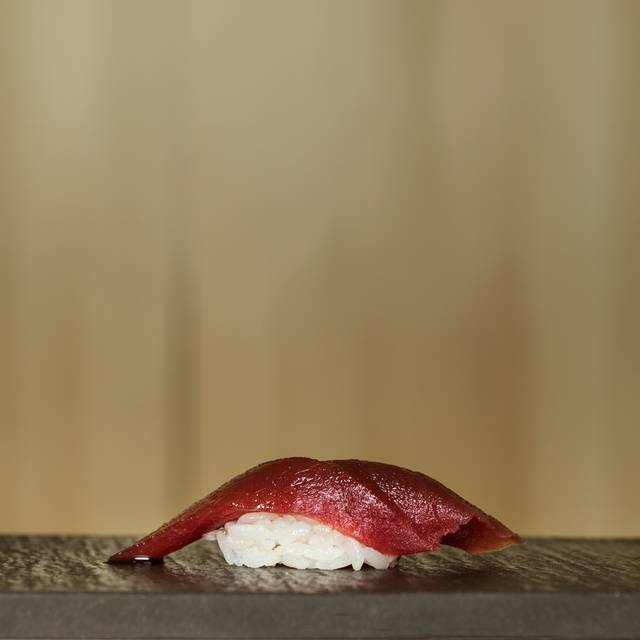 Sushi at its best in a very reverent environment and as authentic as it gets for NY. The real deal. their seating is only an hour and a half long and this was not enough time for us to comfortably finish our meal and then be able to digest for one minute before they come and they asked us to get up. I found it to be quite rude. There was no desserts or even a cup of tea when the meal was finished they were clearing the table right away. I found it to be quite rude. There was no dessert or even a cup of tea and the meal was finished. For the amount of money for the dinner the settings should be at least two hours.